We were featured last Friday on the blog Palindrone Bride. It was a nice little feature about infusing your wedding with masculine touches when your man is opposed to pink! 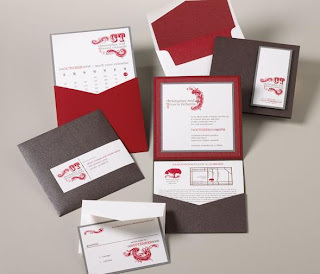 Our Dalliance Flourished Wedding Invitation was featured. Please check out the post here.